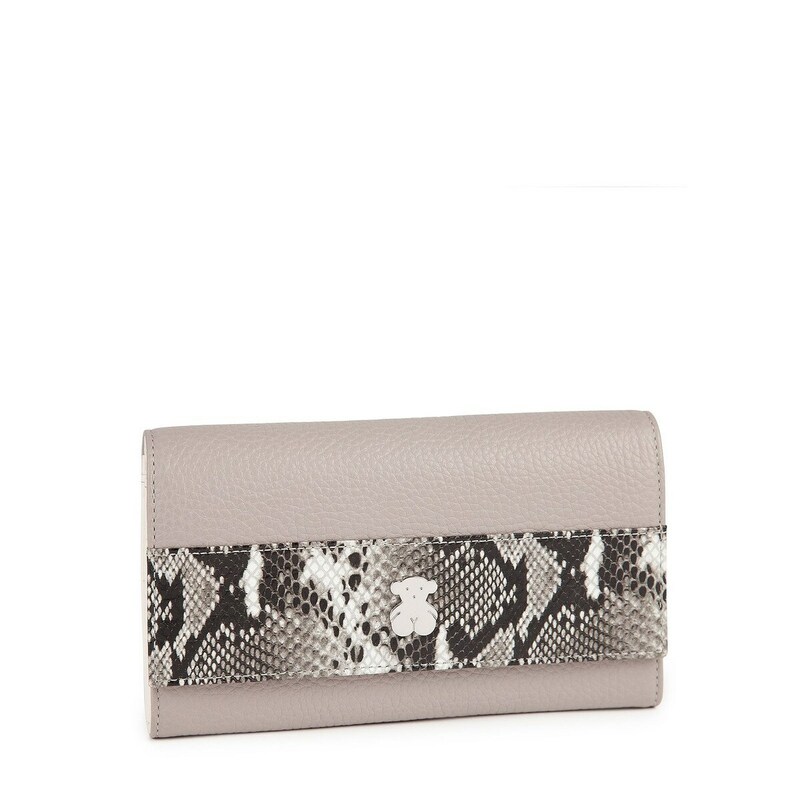 TOUS Apola collection wallet Lucia Wild model in calfskin leather in gray-sand color. Closure with two snap buttons. 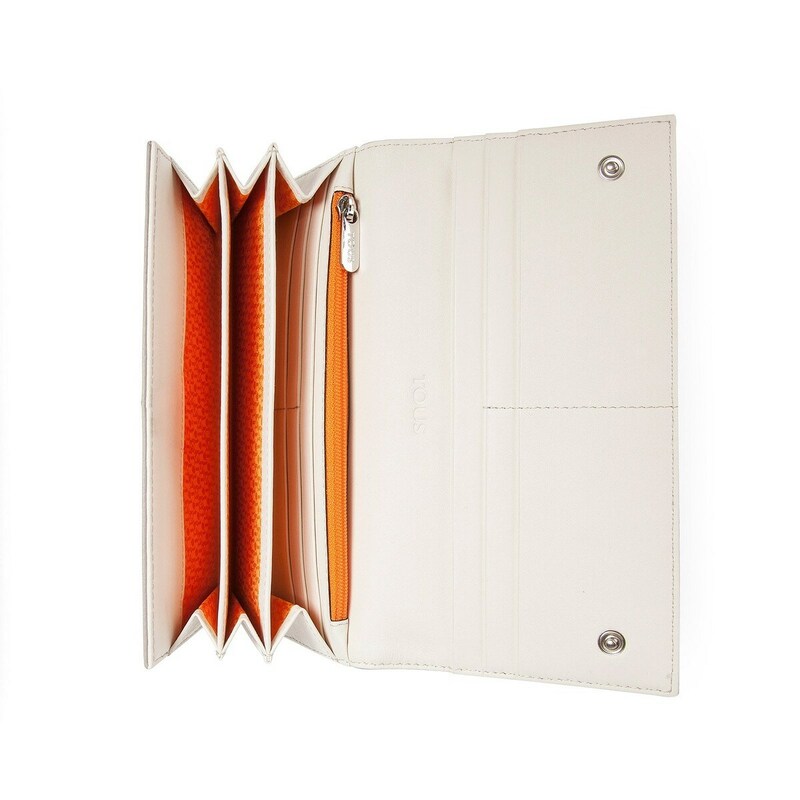 Eight interior compartments for cards, three for miscellaneous, two for bills and one for coins. Measurements: 19cm x 19cm x 2cm.